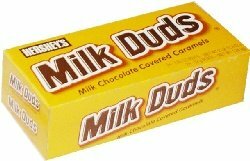 Hershey is seeking to block a pro-breastfeeding clothing maker from registering the name “Milkdudz” for its line of nursing wear. This poses a good trademark question because Hershey conceivably never will get into the business of making clothes for women who nurse their babies. No the real question is one of trademark dilution.